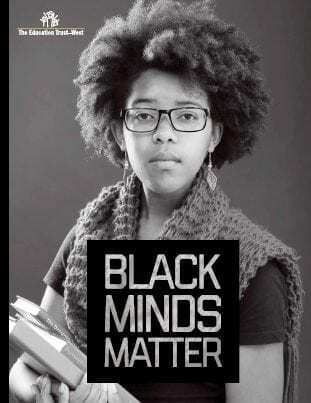 “Black Minds Matter: Supporting the Educational Success of Black Children in California,” examines how the nearly 1 million Black youth in California are faring from preschool through college and reveals the distressing disparities that newly released state and national data show persist at all levels of their educational journey. The report also highlights the groundbreaking efforts underway to reverse these trends in California and close achievement and opportunity gaps for African American students. We intend for Black Minds Matter to be a kicking off point for important dialogue and action around the state. Please see the series of links below for opportunities to learn, share, engage, and discuss.